Folks without fireplaces, this project's for you. Get creative and craft a spot to hang your stockings and lend a little Christmas cheer to any room....turn a canvas dropcloth, drapery hardware and chalkboard paint into a clever faux mantel wall hanging that you can simply roll up and store when the holidays are over. 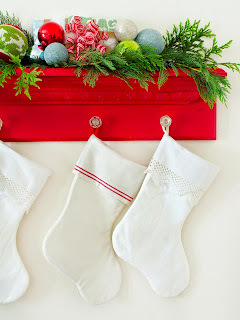 Simply add S hooks to hang the stockings. No mantel? 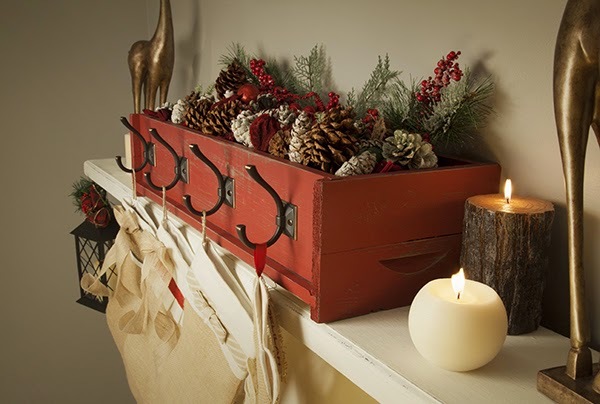 No worries ~ use a wide shelf, paint a festive color, and add hooks or knobs. 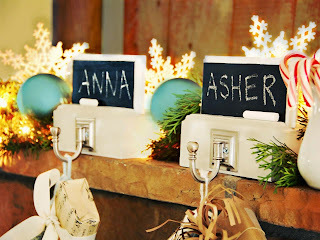 Grab your stockings and hang ~ this project is sure to get the Santa Seal of Approval. 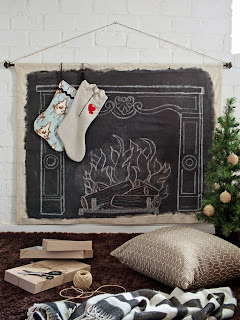 The fireplace mantel or a prominent book shelf, is the traditional center of Christmas celebrations at home. 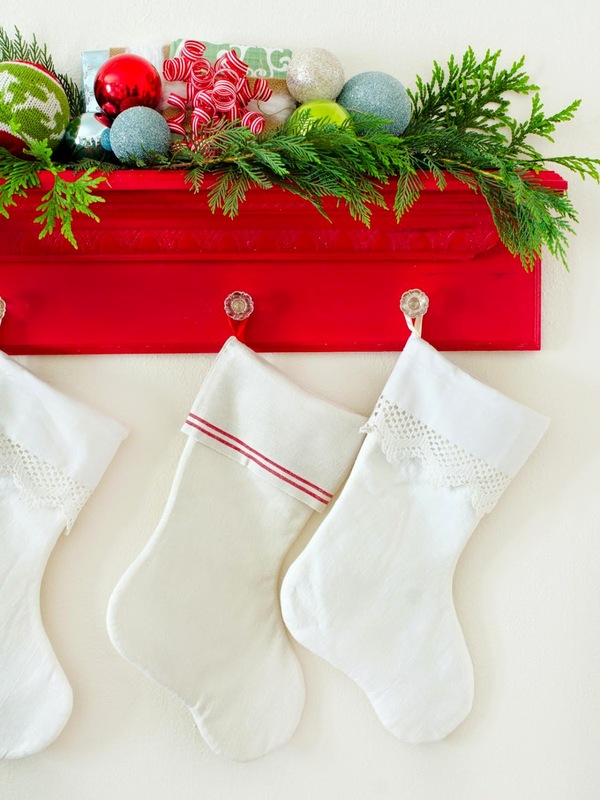 It’s where you hang the stockings and display other Christmas decorations. We have some Christmas mantel decorating ideas with a rustic DIY stocking holder taking center stage. 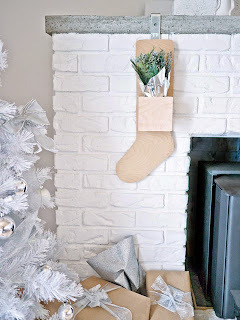 This stocking hanger is easy to make from an ordinary cedar planter box, some decorative coat hooks and paint if you desire. These Scandinavian style stockings take on a creative and modern approach to traditional stockings as they are created out of plywood. The stocking boxes are magnetic, so you can easily remove them to fill with gifts or treats and are hung with construction brackets to keep the look modern.